The unit was formed as Princess Louise’s (Argyll and Sutherland) Highlanders in 1881 by amalgamating the 91st (Princess Louise’s Argyllshire Highlanders) Regiment and the 93rd (Sutherland Highlanders) Regiment. These became its 1st and 2nd Battalions respectively. The new regiment recruited in Argyllshire, Buteshire, Clackmananshire, Dumbartonshire, Kinross-shire, Renfrewshire and Stirlingshire. After garrison duties in Ceylon (now Sri Lanka), Hong Kong and Britain, 1st Battalion fought at Modder River, Magersfontein and Paardeberg during the Boer War (1899-1902). Between 1891 and 1904, 2nd Battalion was stationed in India. At the outbreak of the First World War (1914-18), the regiment had two Regular battalions and seven Territorial battalions. By the end of the war, it had raised seven more service battalions. The regiment as a whole won 78 battle honours and six Victoria Crosses (VCs) during the conflict. 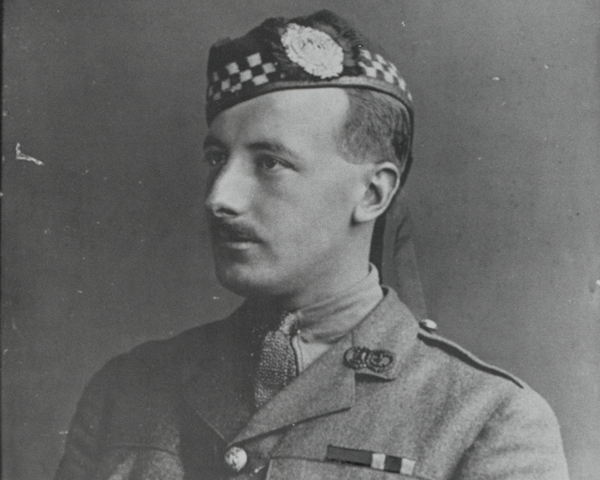 It fought not only on the Western Front, but also at Gallipoli and Salonika. 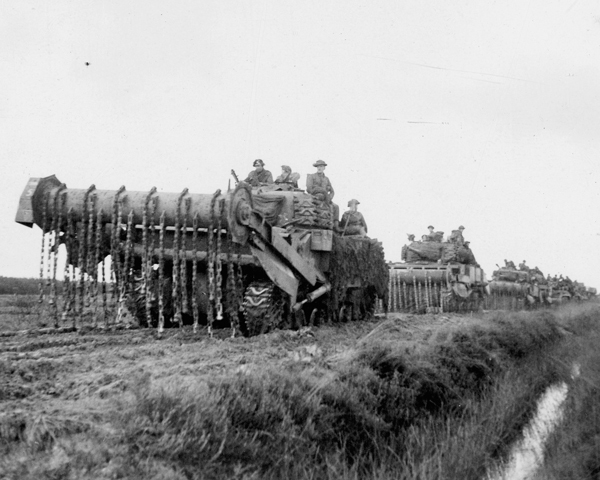 1st Battalion’s inter-war deployments included India (1919), Sudan (1923), Egypt (1925) and Palestine (1936). At the same time, 2nd Battalion served in Ireland (1919), the West Indies (1927), China (1929) and India (1933-39). 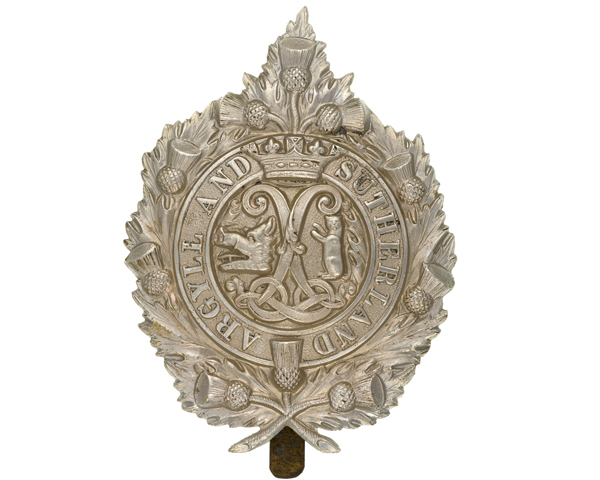 In 1921, the regiment's title was changed to The Argyll and Sutherland Highlanders (Princess Louise's). During the Second World War (1939-45), 1st Battalion fought in North Africa and East Africa (1940-41), Crete (1941), and Sicily and Italy (1943-44). 2nd Battalion was deployed to Malaya and Singapore, where it suffered heavy losses covering 11th Indian Division’s retreat to Singapore in 1942. It was reinforced with Royal Marine survivors from HMS ‘Prince of Wales’ and HMS ‘Repulse’, which had both sunk the previous year. The battalion finally had to surrender in Singapore in February 1942. A new 2nd Battalion was formed by re-numbering 15th Battalion. This fought from Normandy to the River Elbe (1944-45). The regiment also raised seven Territorial and service battalions during the conflict. These included 5th and 7th Battalions, which fought in France from 1939 until being evacuated the following year. The two Regular battalions were merged in 1948, turning the unit into a single-battalion regiment. Two years later, it became one of the first British units to arrive in Korea, where it spent eight months during 1950-51, fighting at Naktong and Pakchon. Other post-war duties included Palestine (1947), Hong Kong (1951), Berlin (1954), Cyprus (1958) and Singapore (1964). In 1967, Lieutenant-Colonel Colin Mitchell led the Argylls in a blaze of publicity during the re-occupation of Crater, part of the Aden campaign. In the 1970s and 1980s, the regiment completed several tours in Northern Ireland and regularly deployed to Germany with the British Army of the Rhine between 1973 and 1992. In 2004, it fought in Iraq (2003-11). In 2006, it was merged into the new Royal Regiment of Scotland as its 5th Battalion. Seven years later, that battalion was reduced to company strength as Balaklava Company. 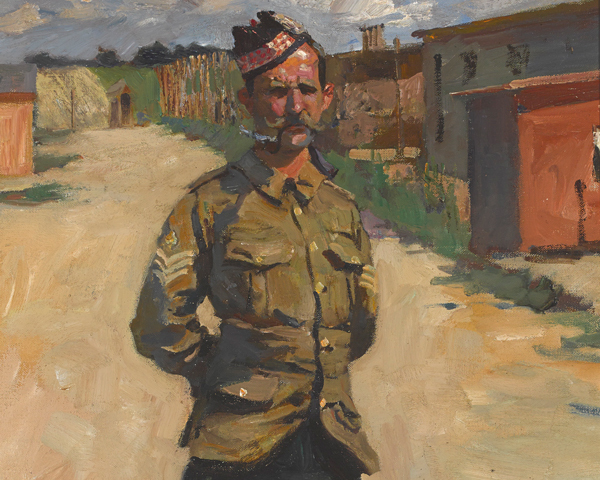 Explore the history and collections of The Argyll and Sutherland Highlanders at the regimental museum at Stirling Castle.